A. J. Wilkinson Ltd, Royal Staffordshire Pottery. White mug in thick/heavy china. One pint capacity. 'R.A.F.' and King's crown within a blue circle to one side. No cracks or chips. Glaze generally very good. Minor firing faults and wear/soiling/discolouration. Displays very well. 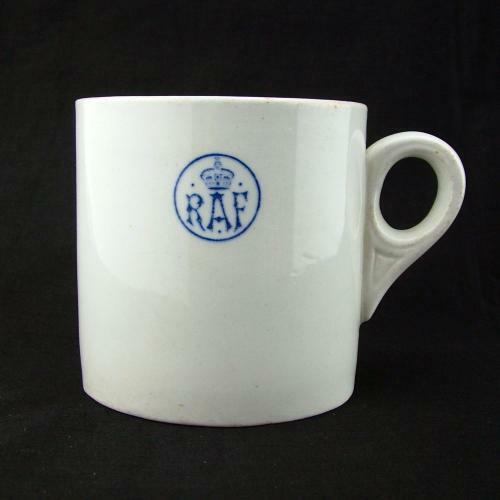 As used on wartime RAF bases. Stock code C21339.